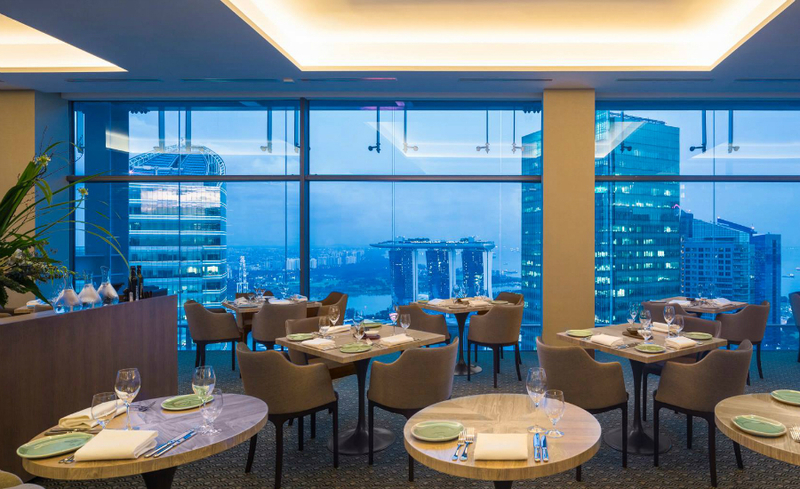 Perfect for whenever you’re looking for a romantic dinner, a fine dining feast fit for Treat Yo’self days, or when you simply can’t get enough of the slick skyline of Singapore.These towering rooftop restaurants in Singapore will take your foodie experience to greater heights, literally. 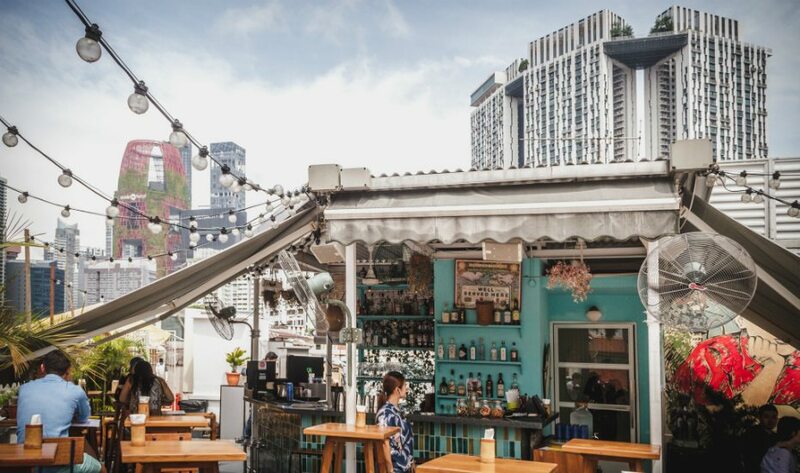 We’ve given a toast to these rooftop bars in Singapore, now here’s a look at some of the best rooftop restaurants – from alfresco party venues and hotel restaurants, to iconic vantage points from Orchard Road, National Gallery Singapore and Marina Bay Sands. Hope you don’t have vertigo! Never mind the views of the CBD and Marina Bay, the heritage district of Keong Saik will do for us! As much as we love munching on Three Buns burgers on the ground floor and sipping a swish cocktail on Level Three’s Studio1939 Lounge, we’re suckers for the breezy, cosy rooftop garden that always makes us feel on top of the world. 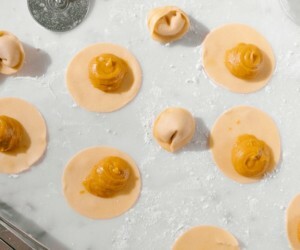 Heads up: Potato Head is now hosting Sunday afternoon free-flow with Aperol Spritz and grilled bites on tap! Previously known as The Jewel Box, there are many rooftop dining options you can go for here. Choose from European tapas and cocktails at Dusk Restaurant and Bar, local cuisine at Good Old Days, total comfort food at Spuds & Aprons and Sky Dining On Cloud 9 for the ultimate “sky-high” dining experience in a cable car. This hip, modern Japanese enclave within the neighbouring CBD skyscrapers is one to look out for. 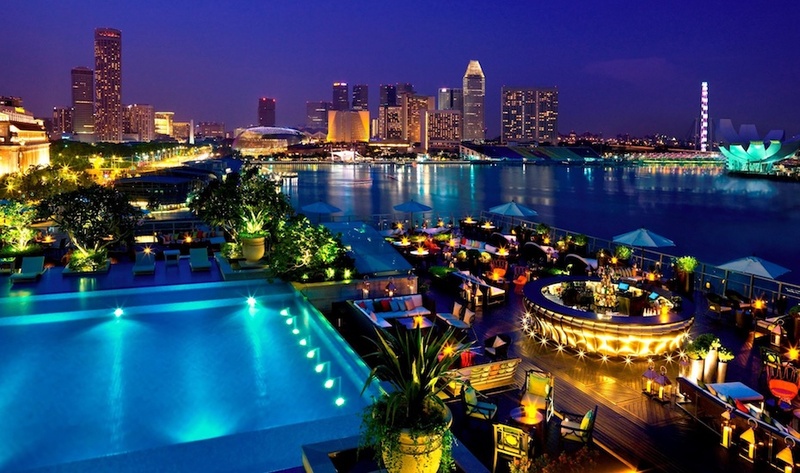 We’re particularly in love with Kinki‘s rooftop bar – it offers an unrivalled view of Marina Bay and the city skyline, perfect for winding down to. 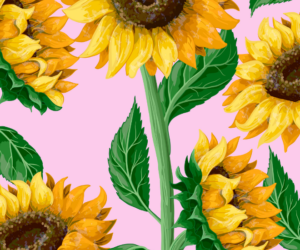 But it’s not all just zen and bar bites here; Kinki also hosts fan-favourite, genre-centric sundown party series, #Kinkilicious all through 2018, with DJs like weelikeme and KiDG from EATMEPOPTART, the Mattblacc crew and more. Kinki, 70 Collyer Quay, #02-02, Customs House, Singapore 049323, p. 6533 3471. It’s hard to beat The Fullerton when it comes to grandeur and this iconic hotel trumps the competition with its own rooftop restaurant. Perched on the eighth storey, it’s not the highest view in town but it features a posh ambience that will make you feel on top of the world. The cuisine here is conceptualised from “Cucina Costiera” – Southern Italian cuisine that’s authentic, homely and full of the freshest ingredients. The Lighthouse Restaurant, Lvl 8 The Fullerton Hotel, 1 Fullerton Square, Singapore 049178, p. 6877 8140. Opulent red chandeliers, baroque-style furniture, marble slab tables and the lush greenery of the restaurant’s garden walls are what will greet you as you step into IndoChine’s trendy concept at Suntec City’s Sky Garden. It’s not all about style here though; Saint Ma offers a hearty selection of healthy Vietnamese, Laotian and Cambodian cuisines that feature tapas dishes and fresh raw vegetables. Take delight in unconventional dishes like rice paper rolls with swimmer crab and tropical fruits, as well as hand-pounded papaya salads. The Vietnamese Luc Lac also hits the spot with its hotplate-served Australia grass-fed beef, and it doesn’t get better than its creamy, caramelised Vietnamese coffee crème brulee. Saint Ma Restaurant, #03-300/301, Suntec City, 3 Temasek Boulevard, Singapore 038983. p. 6332 0323. Boasting an authentic menu and a prime rooftop location that attracts both locals and visitors, Yan at the National Gallery Singapore is the perfect spot to sample Cantonese fine dining. The ala carte menu offers a luxurious selection of dishes including whole abalones, chef’s signature roasts and peking duck, but there are also specially curated set menus including a 5 course set lunch special for $38++ per person (min 2 persons). Yan, #05-02 National Gallery Singapore, 1 St. Andrews Road, Singapore 178957, p. 6384 5585. Located on the fifth floor of the National Gallery, the 90-seater flaunts an ambience that captures the art of chic Italian cuisine. 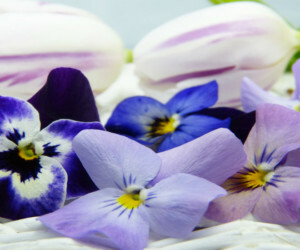 Must-tries include the Hokkaido scallops with Finferli mushrooms, Truffle and Parsley Root, Tagliatelle with Pork Cheek, Tuscan Kale and Crispy Pancetta, and Spring Lamb Chops with Heirloom Carrots and Caramelised Shallots. Another trump card that Aura has in its hand is the Aura Sky Lounge, one level up. There, we dug into saccharine treats like Amedei chocolate and banana cake, and Bailey’s and hazelnut feuillantine while taking in a top-notch view of The Padang and the SG skyline. Aura, 1 St. Andrews Road, #05-03 and #06-02 National Gallery Singapore, Singapore 178957, p. 6866 1977. 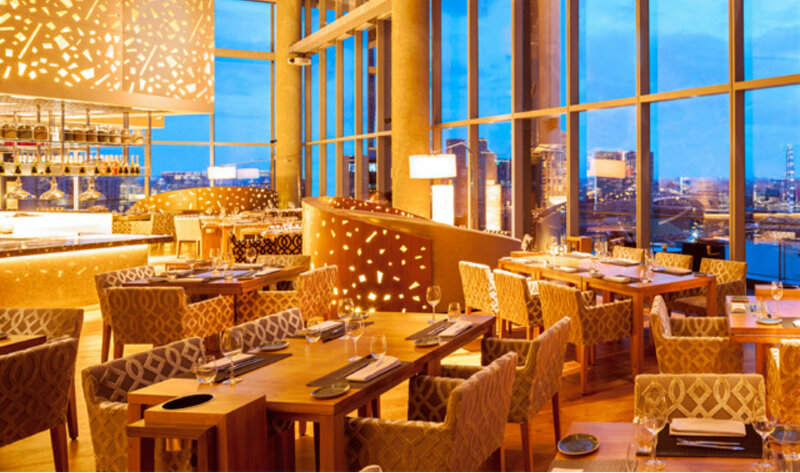 Artemis’ Mediterranean food selection is just as sensational as its panoramic view. Appetisers like the Nantucket Bay Scallops are complemented with a perfect combination of sweet pea puree and crispy pork belly, and the Alaskan king crab salad serves fresh (not flaky) chunks of meat that tease with contrasting textures of crunchy grilled pimento peppers and buttery avocado. From the grill, we’d go with the Grilled Lobster that comes with snow pea salad. And for dessert, our vote goes to the Artemis Tiramisu for a sweet, classic touch to the night. 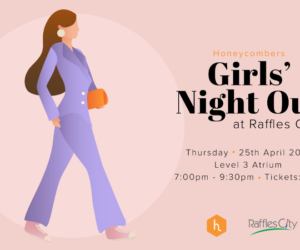 Artemis Grill, 138 Market Street, Lvl 40 CapitaGreen, Singapore 048946, p. 6635 8677. This uber cool restaurant offers two distinct spaces to suit your mood. For something a little more intimate, the 90-seat dining room is ideal for working lunches or a romantic treat. But if a laid-back vibe is more your thing, the casual lounge terrace overlooking the iconic infinity pool is an ideal space for alfresco entertaining. Its lunchtime menu combines Californian flavours with global influences – think tuna tartare cones with chilli aioli, Dutch milk-fed veal chop or soft omelet with smoked salmon. Spago by Wolfgang Puck, Marina Bay Sands, Sands Skypark, Tower 2, Level 57, p. 6688 9955. 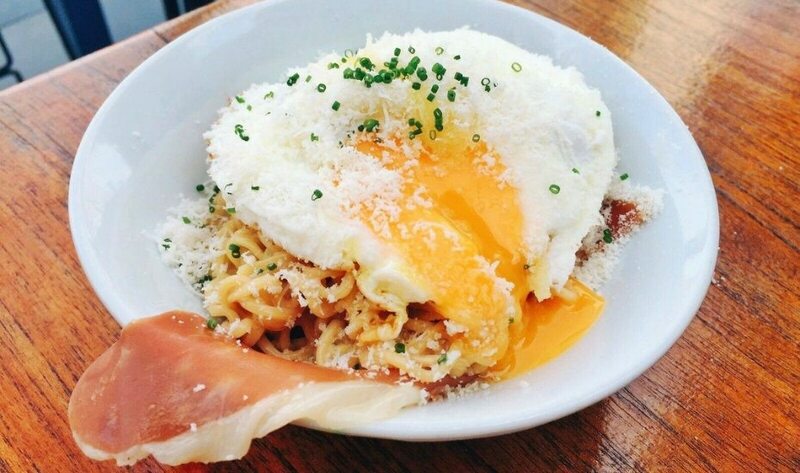 Located on Esplanade’s spacious roof terrace overlooking the bay, Orgo brings drinking and dining to the next level. Inspired by his Italian origins, Chef Andrea Camagna has come up with a menu that gives you a taste of his Mediterranean upbringing. Indulge in small plates like smoked fish carpaccio and hummus carasu, and mains like Sicilian pasta with pesto, Paella de Marisco, and cod fish with green curry. Orgo, Roof Terrace, #04-01 Esplanade, 8 Raffles Ave, Singapore 039802, p. 6336 9366. 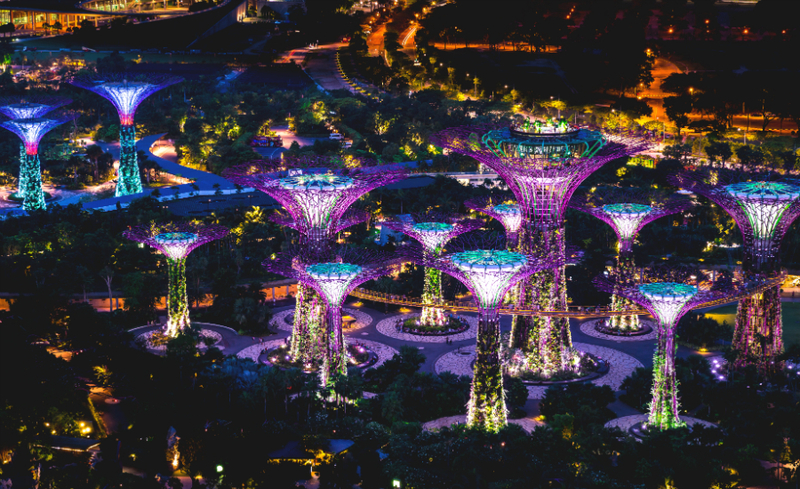 The tallest structure at Gardens by the Bay, SuperTree offers a wonderful 360-degree view of the South China Sea and Singapore’s CBD skyline. Enjoy a scrumptious IndoChinese meal at the restaurant below, before heading upstairs for a glass of martini. It’s slighty touristy, but hey, how often can you say you’ve dined in an alien structure that looks like it came from the set of Avatar? Okay, so this one’s a bit gimmicky, but it’s still something you need to try once in Singapore! If you realise that your scenery outside your window has changed halfway through your Beijing-Cantonese feast, don’t freak out. This towering restaurant slowly rotates, giving you a 360-degree panoramic view of the sea and city. 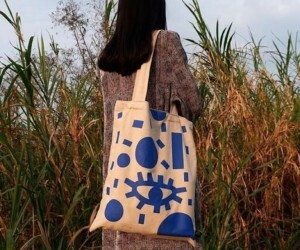 Don’t worry about motion sickness either; you’ll barely feel a thing! Prima Tower Revolving Restaurant, 201 Keppel Road, Singapore 099419, p. 6272 8822. Another swanky waterhole to make you feel like you’re soaring high in life (it’ll literally do that too being 62 stories high), Stellar is one joint where you can splurge. 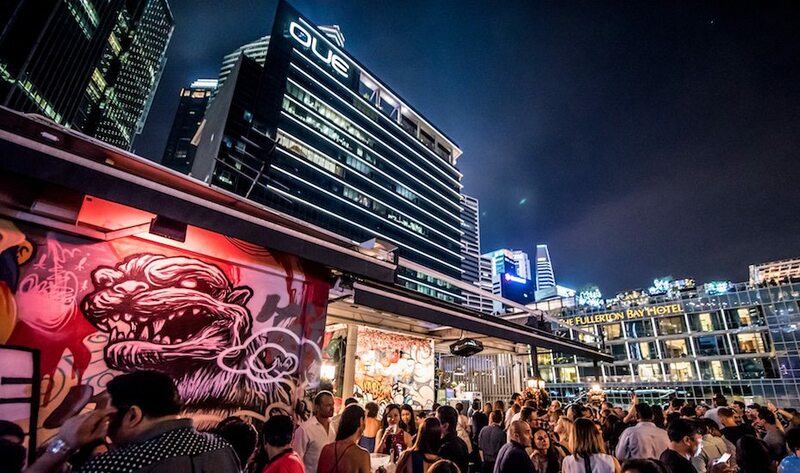 Resting one floor above Altimate – a party pad that most seasoned ravers would be familiar with – Stellar cranks up the class with menus curated by Executive Chef, Christopher Millar. Its Constellations Gastronomic menu reaches skyward towards the stars – with seared Hokkaido scallops, Tajima wagyu and Rock Rose gin marinated Loch Fyne Kinglas salmon amongst its star attractions. Stellar at 1-Altitude, 1 Raffles Place Lvl 62 1-Altitude Singapore 048616, p. 6438 0410. 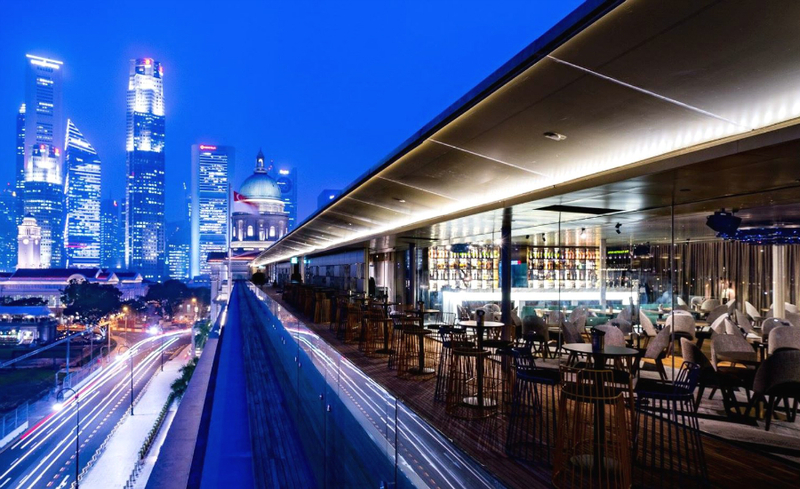 Perched high above the city in the penthouse of the Marina Bay Financial Centre, this high-tech brewery, restaurant, and lounge is an impressive venue to add to Singapore’s list of sky-dining. For a more intimate experience, book a private dining room with a spectacular view of the city where you can immerse yourself in relaxed elegance. There’s limited outdoor seating, so call ahead to snag that sweet spot. 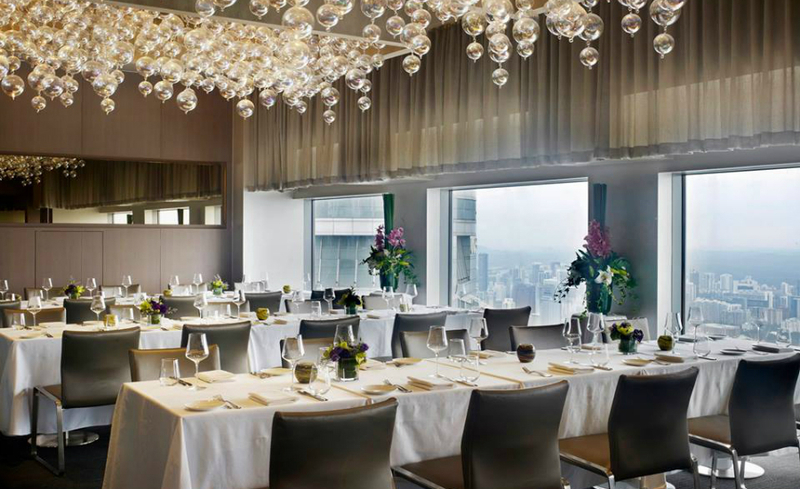 Revered as one of the best restaurants in the world, this high-flying restaurant pairs modern French cuisine with a breathtaking view of the Singapore skyline (hope you ain’t afraid of heights). Its Menu Prestige boasts a seven-course selection where you can sophisticatedly munch on confit rainbow trout with organic chicken, quinoa and lemon, langoustine canneloni with Oscletra caviar and Hokkaido uni, and ‘forest’ pigeon served with white polenta and cromesquis. All dishes are also meant to be shared, so don’t go hogging a hors-d’oeuvre for yourself! Jaan, 2 Stamford Road, Lvl 70 Equinox Complex, Singapore 178882, p. 6837 3322. If you want high-end, this one takes the notion to a whole new level (literally!). Perched on the 56th floor overlooking Orchard Road, Salt Grill & Sky bar delivers celebrity chef Luke Mangan’s signature contemporary Australian cuisine and a menu of delish cocktails, with a dose of panache and urban luxe that you just can’t beat. Rising 218m from the ground, the restaurant is a fashionable urban restaurant serving up contemporary Australian food such as Luke’s signature Crab omelette and Liquorice Parfait. Salt Grill & Sky Bar, #55-01 & #56-01 ION Orchard, 2 Orchard Turn, Singapore 238801, p. 6592 5118. The upscale restaurant features two open kitchens, a charcoal grill, antipasti bar, and a walk-in wine cellar showcasing a variety of Italian labels. This Italian rooftop restaurant on the 43rd level of Ocean Financial Centre takes full advantage of its view and you get to enjoy an early dinner with dishes like baby lobster bisque, pumpkin gnocchi with beetroot puree, and Mediterranean roasted sea bass fillet. Oysters and alcohol: Best. Combo. Ever. If you’re like us, be sure to hit up Southbridge. 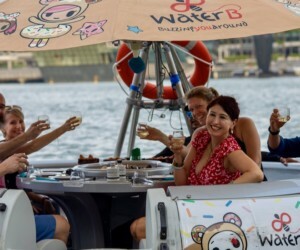 The bar, which overlooks the Singapore River, knows a thing or two about umami with its show-stopping creations like the Pearls (grilled oysters with white wine sauce and avruga caviar), lobster knuckle roll, and truffle and smoked pancetta sandwich. Southbridge, 5/F (rooftop), 80 Boat Quay, Singapore 049868, p. 66877 6965. Three main cuisines are served here: namely Japanese, French, and Chinese. However, don’t expect fusion fare of any sort here; the kitchens are kept separate, so whether you’re craving sushi, foie gras, or spicy Sichuan creations, there’s bound to be something that tickles your fancy. Oh, and the view from here – especially from the comfort of your private dining room – isn’t half-bad either. Me@OUE, Rooftop Level, OUE Bayfront, 50 Collyer Quay, Singapore 049321, p. 6634 4555. Take your dinner up high at CÉ LA VI for modern Asian treats and breathtaking sights of the Marina Bay 200 metres aboveground. 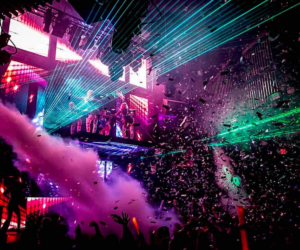 Pop by the SkyPark for a more panoramic excursion afterwards, or go straight to the Club Lounge – crowned as one of the best clubs in the world – to shimmy to some pulsating beats. CÉ LA VI, 1 Bayfront Ave, SkyPark at Marina Bay Sands, Tower 3, Marina Bay Sands, Singapore 018971, p. 6508 2188. Swish rooftop bar and tapas restaurant Lantern is the place to be if you want killer views of the Marina Bay waterfront. Mains like seared black cod and steak and frites are to be had but if you prefer light bites, go for the popular mini wagyu beef sliders. Head there before 8pm, and you can catch Marina Bay Sand’s spiffy laser light shows from your seat. Lantern, The Fullerton Bay Hotel, 80 Collyer Quay, Singapore 049326, p. 6333 8388. 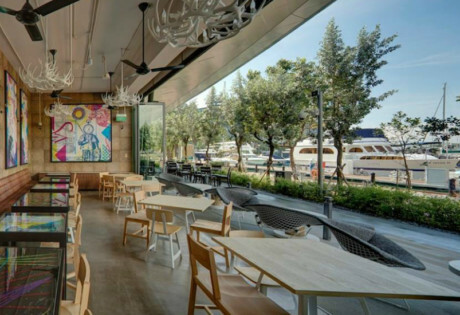 Perched atop the taller shophouses along the bustling Boat Quay stretch, Braci features a luxe 20-seat dining area on the fifth floor, as well as a 30-seat rooftop bar that flaunts a fantastic view of the Singapore River while you savour unique cocktails. Read our full review of the Michelin Star restaurant here. Braci, 52 Boat Quay, Level 5 and 6, Singapore 049841, p. 6866 1933.